When we make our resolutions for the new year, most of us will include to be healthier. Whether you are looking to eat better, exercise more, track your calories, or to motivate yourself to workout more often there are a lot of things that we could be doing to be healthy. There are also a ton of apps out there to make things easier. After doing some research I have picked out my favorites and they are all free. STEP 1 // Spring or Spring Moves: Who doesn't love music when they exercise? This app picks songs from your playlist to play that match the rhythm of your movements. STEP 2 // Fooducate: Using this app you can scan the bar code of a product and learn all about it's nutritional value. Plus this app offers healthier choices for the item you have scanned. 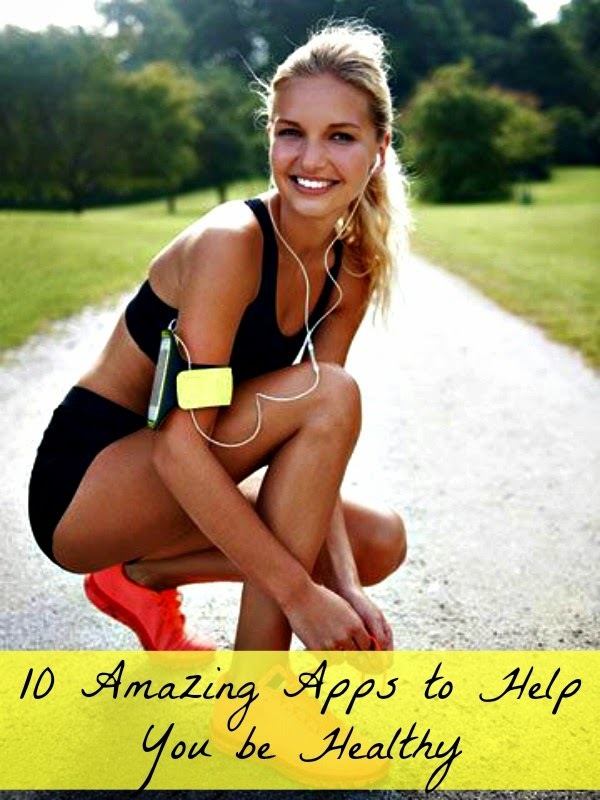 STEP 3 // GAIN Fitness: This personal trainer app offers over a thousand exercises with images and voice commands. What I love about this app is you can tell it what equipment you have on hand and it will customize the workout for you. STEP 4 // EveryMove: Do you find yourself needing motivation to work out? This app tracks your activity and you earn points for working out. Points that you can redeem for things you love. STEP 5 // Nexercise: This app is similar to EveryMove in that you can earn points that you can redeem for rewards. This app also lets you challenge your friends and family and compete against them to see who is exercising the most. STEP 6 // Headspace: Ever find yourself dealing with a stressful situation? With only 10 minutes you can take a guided mediation to ease your stress. Everyone has just ten minutes, right? STEP 7 // PUMATRAC: This app tracks your run to determine distance ran, pace, calories burned, and it helps you get the most out of a workout. This app helps you figure out when you get in the best workout. STEP 8 // Human: Is it hard to find the time to workout? Maybe you can only grab a few minutes sporadically throughout the day. Human challenges you to get in your 30 minutes a day, whenever you can. It will track your few minutes here and there throughout the day and let you know when you have reached 30 minutes. STEP 9 // Daily Yoga: Is a great yoga app for beginners. It has videos and images to guide you through various yoga poses and exercises. STEP 10 // I Can Go Without: While you are making yourself a better you, why not help others out? If you have something you can go without today, like that coffee drink. You can pledge that amount to a charity of your choice. Happy 2015! I love the Fooducate app. I need to take seriously this tips! Going to have to check these out.